[Sebastian] wrote in to share his web site, where he has a bunch of different electronics projects. After looking through them, we found a pair that we thought you might find interesting. 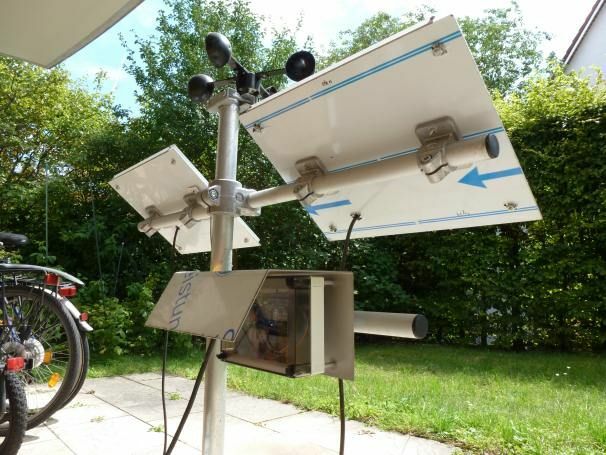 The first project is a homebrew weather monitoring station that [Sebastian] put together. He designed a weather shield, incorporating humidity, pressure and light sensors, along with digital I/O ports for monitoring an anemometer. The entire setup is powered using solar panels, and data is relayed to his computer via an Xbee. The second item that caught our eye was a digital camera pan and tilt rig. The system was built using a Lynxmotion pan and tilt kit, which is controlled by an Arduino. The code he provides allows him to capture very large composite images without having to spend too much time “sewing” them together. While this second project mostly consists of schematics for a base plate and pan/tilt code, it struck us as something that could be very useful for any budding photographers looking to take panoramic shots. All of the schematics and code for his projects are available on his site, so be sure to look around – you might find something interesting! Sebastian’s weather monitoring station is really cool, but what I’d first like to know more about is its bar-and-bracket construction. What’s the real name for these things (rather than bar-and-bracket) and what are some good sources for those materials? Wow, no comments on this one yet? I’m most impressed by the mechanical portion. Very commercial looking with the AL tubing and use of stanchions. Very nice job overall. So where’s a good place to buy that kind of tubing and stanchions? I like that it is possible to attach stuff like the Apple Solar charger to the weather station: http://www.zipfelmaus.com/blog/apple-solar-charger-apple-produkte-mit-solarstrom-laden/ ..
Kee Klamps would also work well for this sort of project. Mostly used for hand railings.